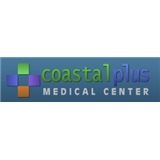 Coastal Plus Medical Center (Jacksonville) - Book Appointment Online! Since our inception in 1989,Coastal Plus has provided Jacksonville, FL with the highest quality health care possible. Repeatedly recognized by The Jacksonville Business Journal as a one of the area's top Group Physician Practices, our friendly and caring group of staff and providers treat the patient, not the condition. We ask that all new patient to arrive 15-20 minutes prior to the desired appointment time in order to allow us to prepare the chart with proper documentation and verify insurance. Dr. Young was amazing! He was caring and listened to everything I said. Loved the office and staff too.